Bundling Wrap – Bundle your items together with small stretch film rolls! Bundling Wrap or Bundling Film are short 100mm rolls of plastic wrapping film used to quickly secure and bundle items together. Plastic Bundling Wrap is a warehouse necessary used for many general purpose applications. This stretch film has strong elasticity to hold items together firmly without leaving residual like an adhesive tape. 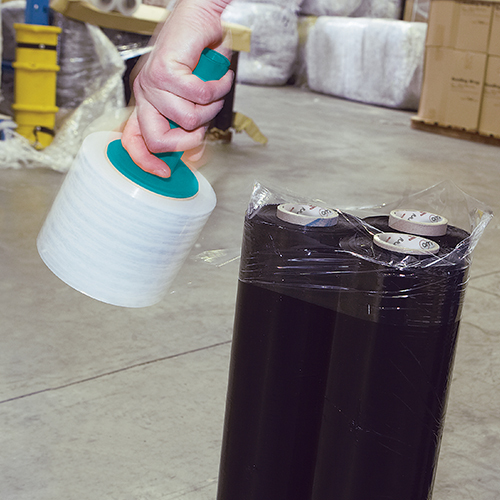 Bundling Wrap comes standard on a 3 inch core to fit bundling wrap dispensers for easy application.